Yeehaw! A Widdle Western for Today! Hey folks, I’m at SXSW in Texas this week for work managing some panels for my company. 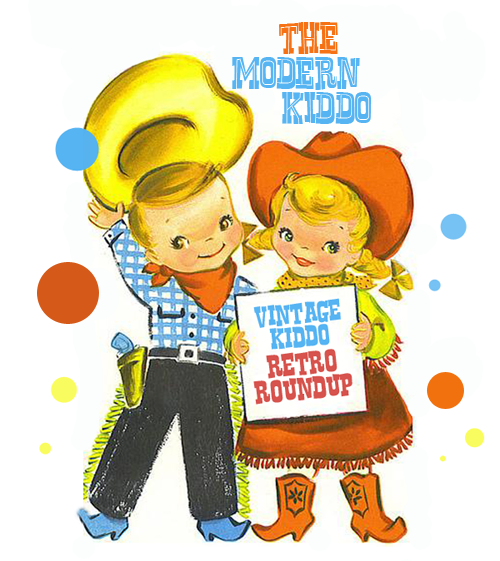 I’ve been inspired by the Lone Star so much that is has trickled down to this week’s Retro Round Up with some sweet Western goods. Would you look at this two piece of western wonderfulness? How much fun would this coat be over just a t-shirt with some jeans or khakis? From Etsy seller Box of Hollyhocks. Behold: the perfect little girl’s western shirt. Yes, please! From our friends from Ebay who now has an Etsy shop, the Robot Parade. SWEET! Sometimes kiddos can’t deal with the heel of a cowboy boot, so why don’t you try these vintage Western boot galoshes. Lower heel and great for the rain too boot! From Etsy seller, Atomic Retro Girl. I must admit, I probably wouldn’t play this stunning vintage picture record, but wouldn’t it look cute on the wall? So darling! From Etsy seller, Lottzafunstuff! Now, THESE vintage cowboy boots are the official winner. Seriously. How could I not include these beauts? From Etsy seller, In with the old. Now, this is a vintage western shirt that is actually cozy cozy flannel because it is a pajama top. Mmm…. From Etsy seller, Haoli. Oh, so darn cute. Baby town cute cute. CUTE! Who wouldn’t want to grab this little cowboy for a cuddle and giggle with delight! From Etsy seller, Vintage Jewelery Antiques. Who doesn’t want to play Western town when Fisher Price is involved? Like with this great toy set. From Etsy seller, The Pantages. 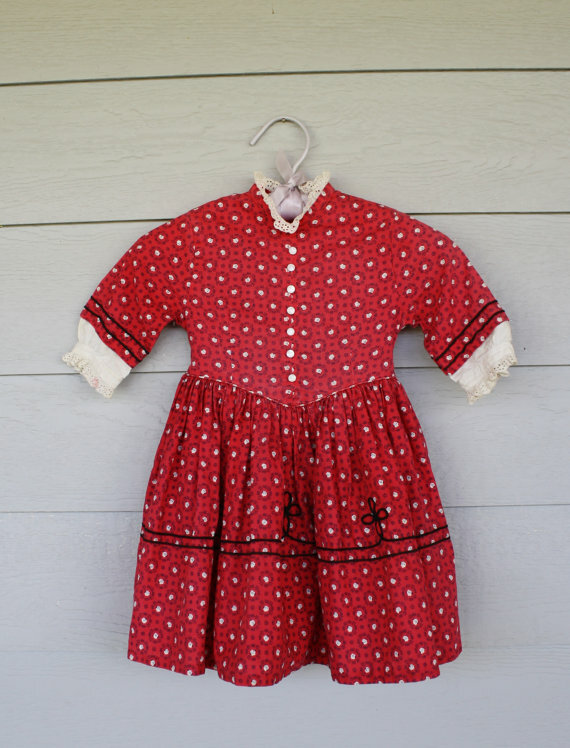 Yes, I did feature a great vintage cowboy or two, but let’s get a little nod to the pioneer girl with this lovely little retro dress from 1950s. From Etsy seller Golden Owl Vintage. A book about cowboys? Now, you KNOW that is a good book worth getting it. From Etsy seller, Caddywampus. The boots and the red dress are divine!